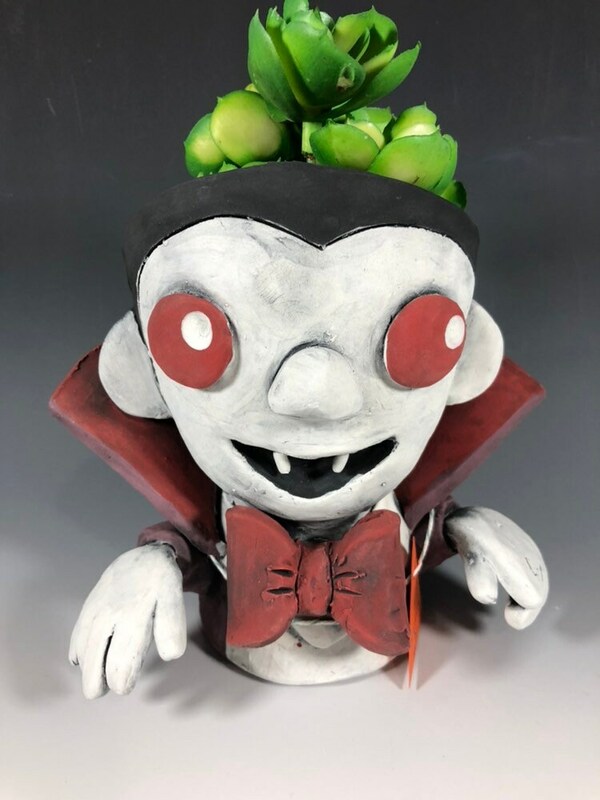 Vampire Eddie is a fun little guy, he's surely not that scary. 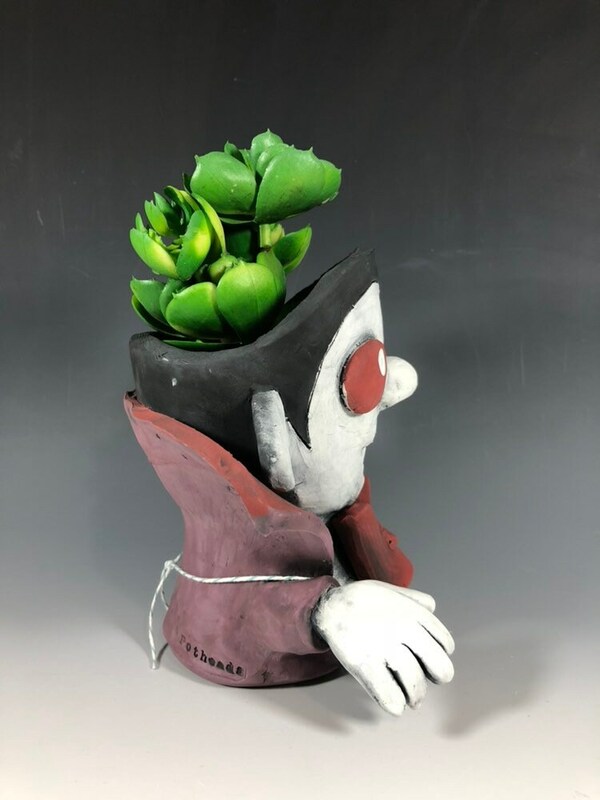 He's a handmade planter that is perfect for small succulents, cacti and air plants. 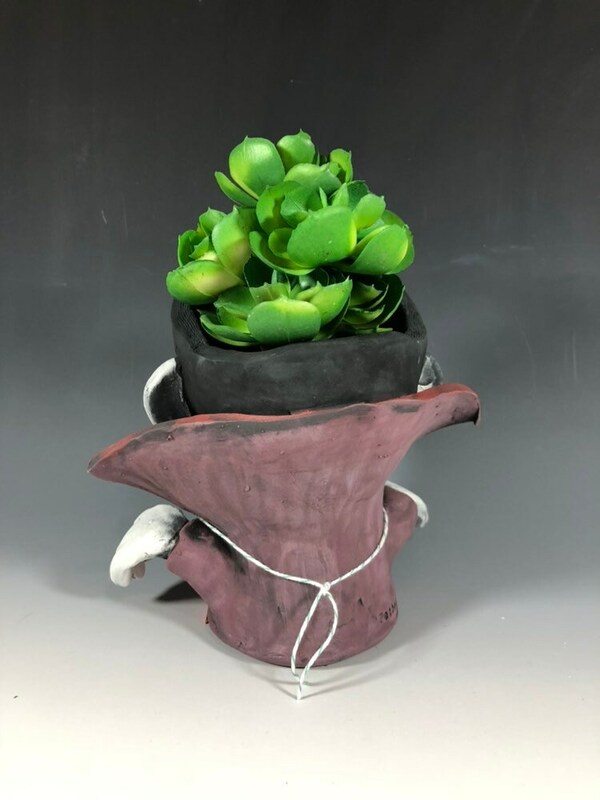 Hand sculpted from mid-range stoneware clay, hand painted with underglaze, backwashed with glaze accents and fired three times. Color will not fade, but be careful not to chip or scratch. 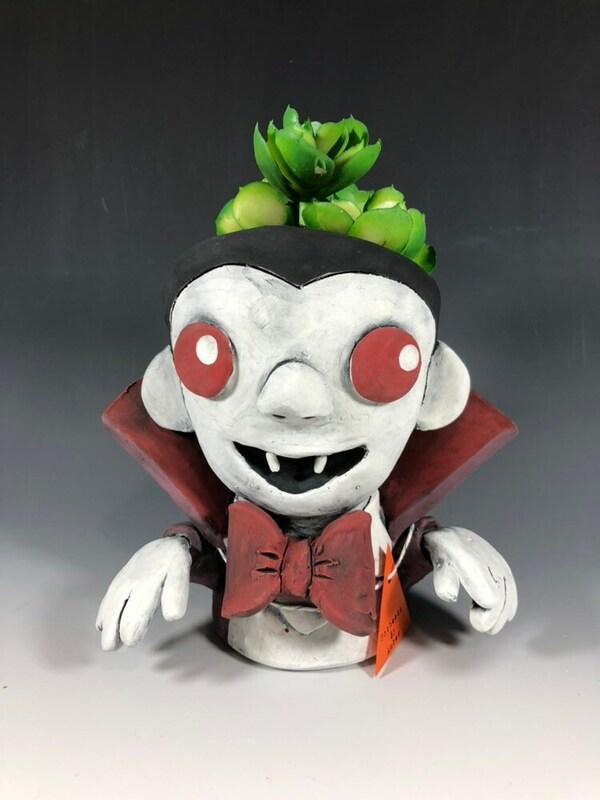 Vampire Eddie is perfect for any tabletop, desktop, patio or counter. He sits about 6 inches tall and 3 inches wide and in length. A little bigger and wider than a can of coke. 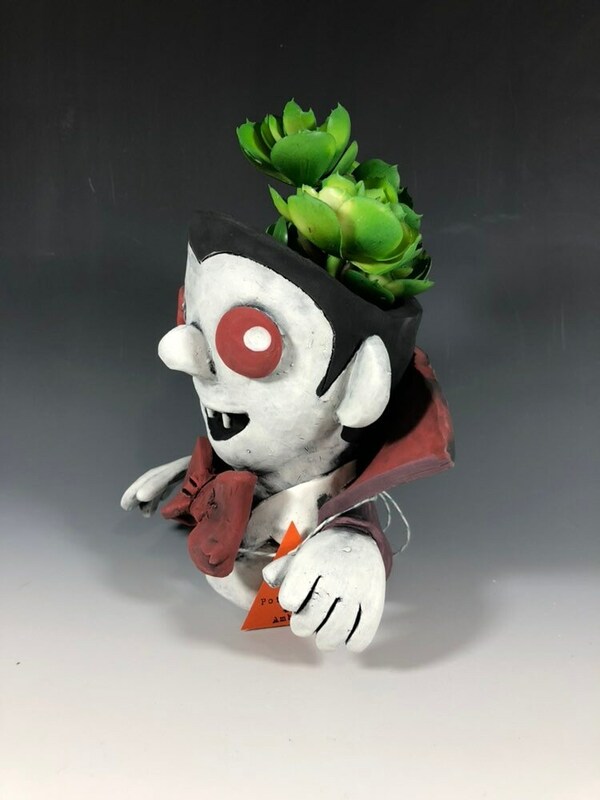 Although his main purpose is to be a small planter you can also just use him as a small sculpture on your desk or to hold pencils, candles etc. This is one of the best thing I ever bought from Etsy. I love it so much! Thank you for making this.